Give your dining room the long lasting centerpiece it deserves with this solid wood dining table. 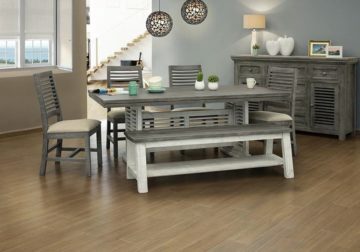 Constructed from 100% pine wood, you can rest easy knowing that this piece will be a part of your home for years to come. 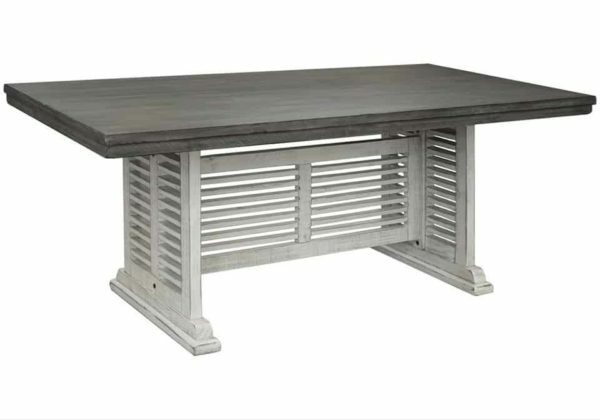 The two-tone finish of this piece gives it a unique look, while the slatted design of the double pedestal base helps prevent this piece from looking too solid and blocky. You’ll relish creating memories with your family and friends around this table for years to come. *Rectangular dining table only. Chairs and dining bench not included, but are available to purchase separately.